Performance Management Tools Turn Hard Work Into Smart Work, Bet You! Home » Performance Management Tools Turn Hard Work into Smart Work, Bet You! » Blog » Performance Management Tools Turn Hard Work into Smart Work, Bet You! “Some people put in lot of efforts & time to finish a task while others plan and invest smart ideas to do the same task. Let’s be honest… We all work hard, very hard – to earn a respectable position at our workplace. Believe it or not, each one of us work to reach next level of success. Employees work effectively to multiply performance and produce smarter results. 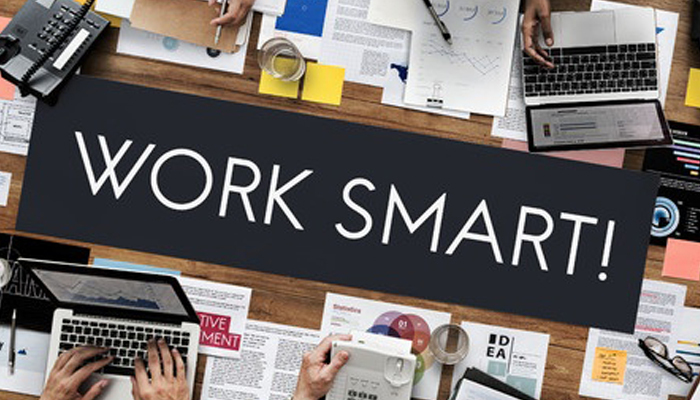 Though the concept of working smarter is nothing new, yet people are unable to understand the difference between the two – Hard Work and Smart Work! When talking about a successful person, hard work is the first quality that reflects the most. To be successful, one has to cover extra miles and start earlier than others. Those who aspire success and are truly determined, work effectively (almost sacrificing on everything they could) even when others are participating in social gatherings or having good family time. In contrast, there are other strong-minded people who are willing to work on strict deadlines making most of the available time (without stretching their maximum working hours) and yet they are able to perfectly meet work goals pretty faster. That’s where the difference lies. How Smart Workers Outdo Achievements of Hardworking Employees? If concentrating on 20% of most important tasks at work leads to 80% of success, isn’t it better to focus only on that 20%. It helps in saving time and giving more hours to core business operations that really need attention. Instead of putting in lots of efforts, just like hard working employees, let’s learn to manage time with few easy-to-follow tips. Having a clear picture in mind of what you want makes it easier to achieve it. A single-minded employee with a clearer work goals is always a smart working employee. At times, employees are too busy in working hard that they almost forget what they are working for. A well-trained employee makes best of his/ her skills to think, analyze and act upon actions that really matter. With a positive and enthusiastic mindset, one can win over any difficult situation. But the same attitude can also lead to troubles, because a positive mind tends to not leave any good opportunity that comes his way. Here the selection of right opportunity matters. Rather than going about any opportunity, one should deeply think and analyze the outcomes of every opportunity before picking it. A smart worker is a good opportunist, be like one. For instance: if an employer offers training opportunities to its workforce, smart employees would ensure to not leave it at any cost. A smart worker is a good leader. Believe it. He knows the art of dealing with team members. He is focused to carry out processes for goal setting, employee tracking, employee management and 360 reviews. For instance: if we talk about HR industry, a smart HR will always prefer using online HR tools to streamline end-to-end human resource processes. Why? The answer is simple – implementation of reliable cloud based HR tools make the work easier and give smart results. Talking about the HR industry, let’s not forget that most of the leading companies are using automated cloud-based performance management tools to track and evaluate employee performance in a transparent way. Now this is something I call smartest team planning and best utilization of time. Having read and learnt everything here, let’s not miss out on one most important aspect of being a smart worker, i.e. Think before Practicing! Wherever you go, whatever you do, always have a plan in your mind before you act. Hard workers think of escaping from reality by working hard, on the other hand, smart workers sense practical situation and implement their life’s best experience to come out of difficult situations. Only hard work can’t get you enough, smart work is always needed at every step to excel. Hope you take it as your life mantra. Start using reliable performance management tools to give right direction to your hard work and be a smart team player.